Where Do Policy Rules Come From? I recently read Steve Williamson’s interpretation of what I was and was not claiming when I wrote my 1992 paper on what would come to be called the Taylor rule. It’s quite a while ago, but I have a different view. But the research that led to the Taylor rule was based on economic theory and it did use specific objective functions. The so-called Taylor curve, which was published in 1979, made this very clear: Given a specific theory (embodied in a model fit to data) and a specific objective function, one could use optimization methods to find an optimal policy rule. The monetary theory I used then combined rational expectations and price rigidities, two key ingredients of New Keynesian theories. During the 1980s these rudimentary monetary models were developed further largely as part of a search for better policy rules. At Stanford we extended the model globally and included shocks to term structure spreads, exchange rates, and a zero bound on the interest rate. By the late 1980s many such models were being built and estimated, and there was an opportunity to compare the results from these different models. Because the models were complex, the policy evaluation method was to put different candidate simple rules into the models, simulate them, and find the rules that worked best as defined by some objective function. 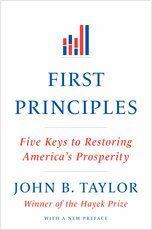 It was through this policy research that the Taylor rule emerged. I examined many model simulations, including my own. 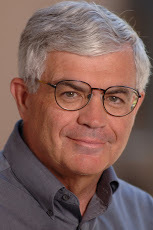 I saw common characteristics of the best policy rules: the interest rate rather than the money supply was on the left-hand side; there were two main variables—smoothed aggregate prices and a measure of GDP deviations from long-run trend—on the right-hand side; there was a need to react sufficiently to inflation to get determinacy and stability; and there was usually no exchange rate or asset prices on the right-hand side (these usually increased volatility). So that is where the rule came from. Later research (which Steve mentions) was very important. The proof of exact optimality of the rule in certain simple models as shown by Mike Woodford (and also Larry Ball) helped improve people’s understanding of why the rule worked well. Finding robustness to a surprisingly wide variety of models was quite useful, as was the historical finding that when monetary policy was close to such a rule, performance was good and when it departed, performance was not so good. But this all depended strongly on the economic theory and policy optimization results in the original research.